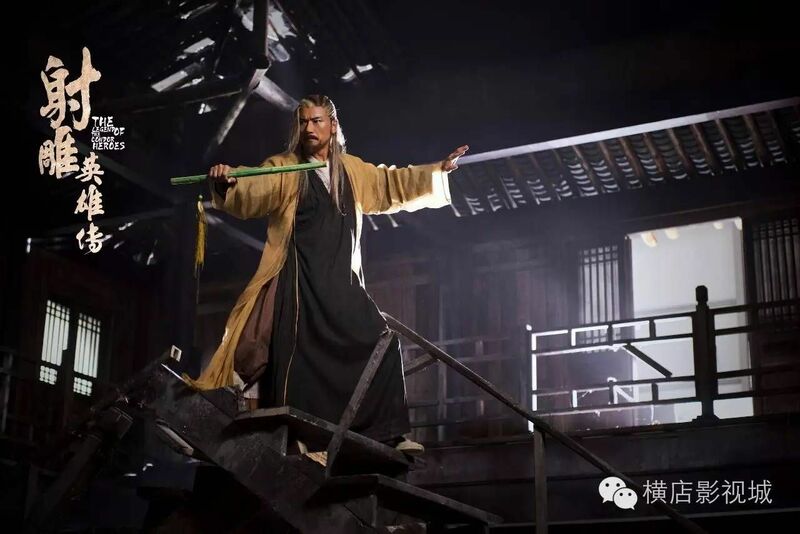 I can’t believe I’m saying this since I’m super old school when it comes to my wuxia dramas and especially when it comes to drama adaptations of famous Louis Cha novels, but the upcoming 2016 version of Legend of the Condor Heroes actually looks pretty decent so far. I was completely taken aback when I came across news that LoCH was being remade again, and with a super newbie fresh faced young cast to boot. 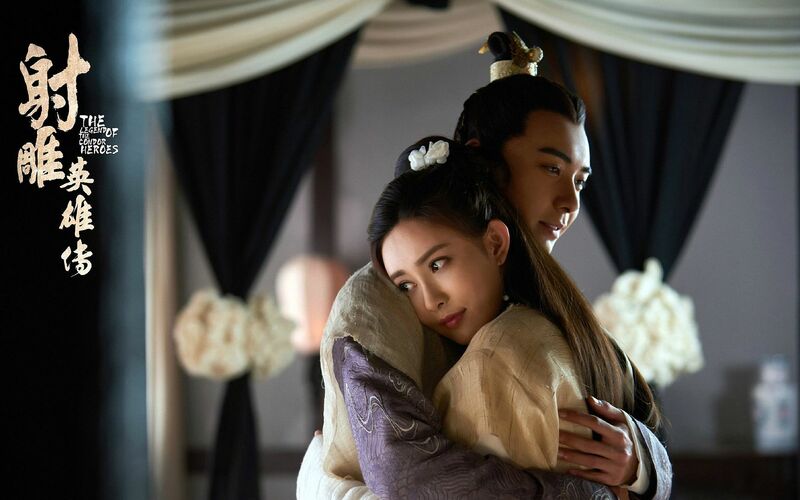 Starring Yang Xu Wen as Guo Jing and Li Yi Tong as Huang Rong, they take the baton from the last pair to play the iconic lovers which were Hu Ge and Ariel Lin back in the 2006 version, and those are big shoes to fill. Even bigger are the most famous version in history the 1983 HK-drama perfect casting of Barbara Yung and Felix Wong. The Yang Kang from the 83 version Michael Miu is back this time as an elder, playing Huang Rong’s dad Huang Yao Shi and even Ray Lui will be in this go-around. The posters and stills are suitably gorgeous and that’s already a good sign so keep up the quality production. Ew no. The CG is so gaudy and ridiculous. Lead actor looks like Hu Ge’s shorter, more homely cousin. And that lead actress! Her face is like a billboard for a Gangnam plastic surgery clinic. So sad. The day has come when Huang Rong felt insecure about her Chinese features and decided it’s better to be a cheap imitation of hallyu girls. Agree with you. I hope it is just over photoshopping, so I will give them the benefit of doubt until I see the trailer. But do we REALLY need a new version of LOCH every year?? 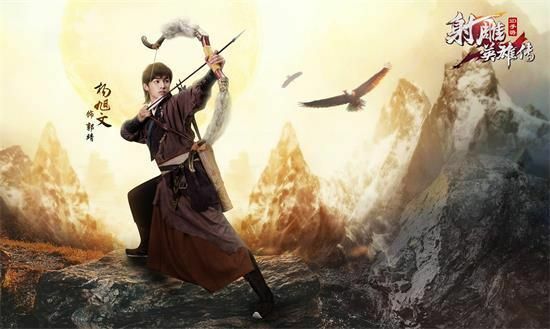 lol this is definitely not legend of condor hero @ LOCH but legend of arching hero. at least im glad they didnt remake LOCH coz that one got remake every few years. but the forever guo jing-huang rong for me is the 2001 LOAH c-drama with the most memorable mei cao feng. 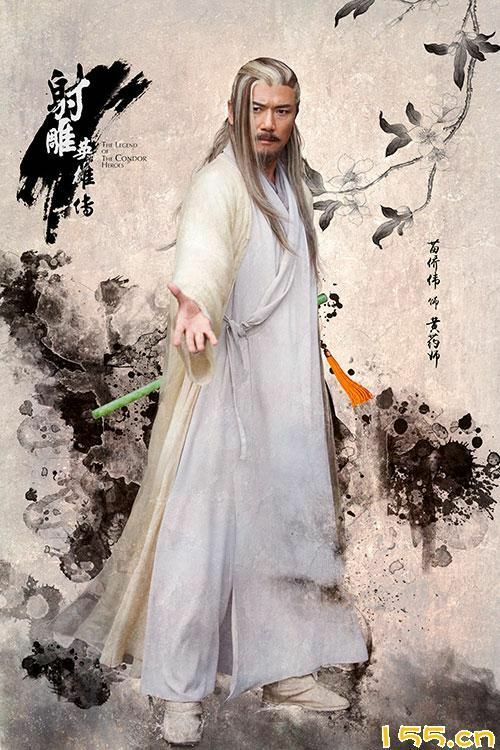 this IS legend of condor hero. legend of arching hero is another name for it (perhaps for other release, i think). i watch is as legend or arching hero myself, when it was aired in malaysia. 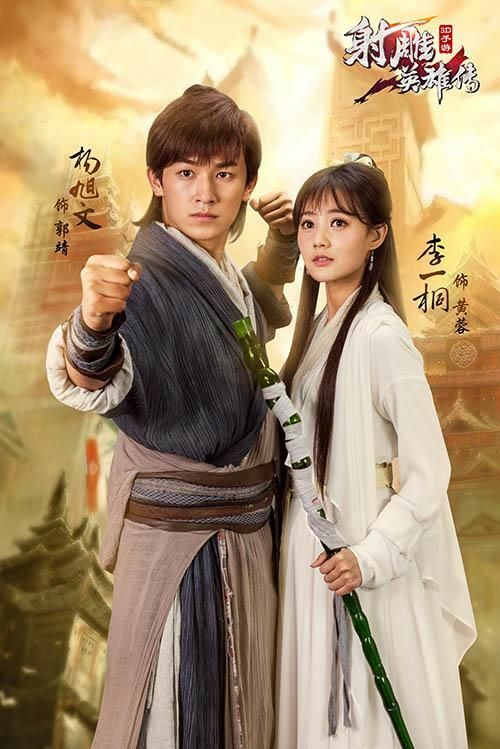 return of condor hero is the sequel (with yang guo and xiao long nu). both series has had about 7-8 remake each. hahha my bad. guess i don’t know much about the real name. i remember when u said return of condor heroes coz by then i realize oh yea they’re all called condor heroes coz its basically the same legacy. thanks for correcting me. 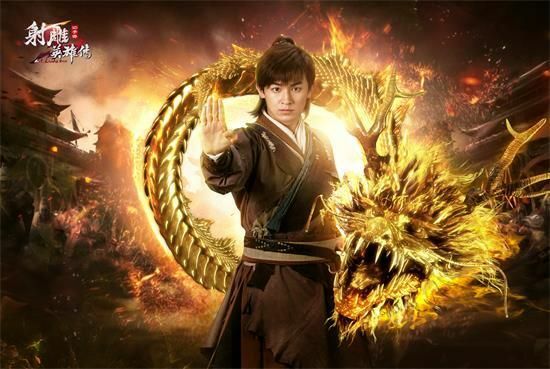 Why so much condor heroes? Another one, that cannot live up to the Barbara Yung version. Why can’t they find the actors and actresses that have the same vibe as the cast from the 80’s TVB version. Wong Yong hairstyle in the pictures above doesn’t even match the character. Too bad, as it looks like with the right hairstyle, she would have looked to be a very good Wong Yong. 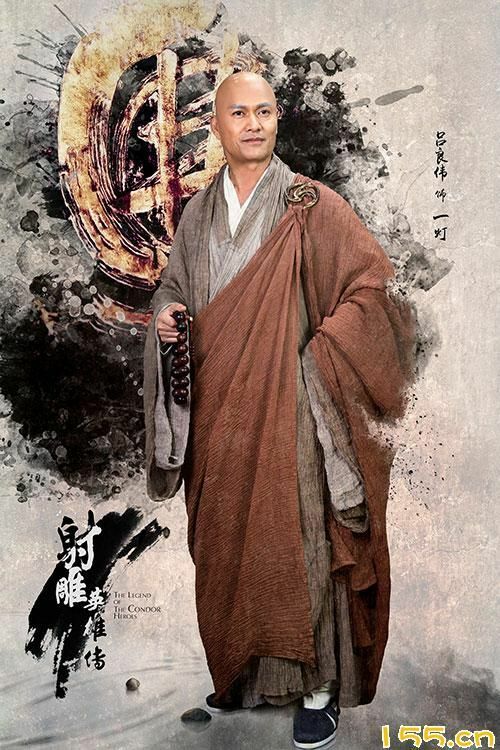 Looking forward to how Michael Miu plays Wong Yong’s father as the Peach Blossom Master. I always wanted to know the story of him and his wife in the story, but TVBs version didn’t really go into it too much. HK-TVB did indeed do the backstory of Wong Yong’s parents of how they met, fell in love, etc. It aired back in 1993. 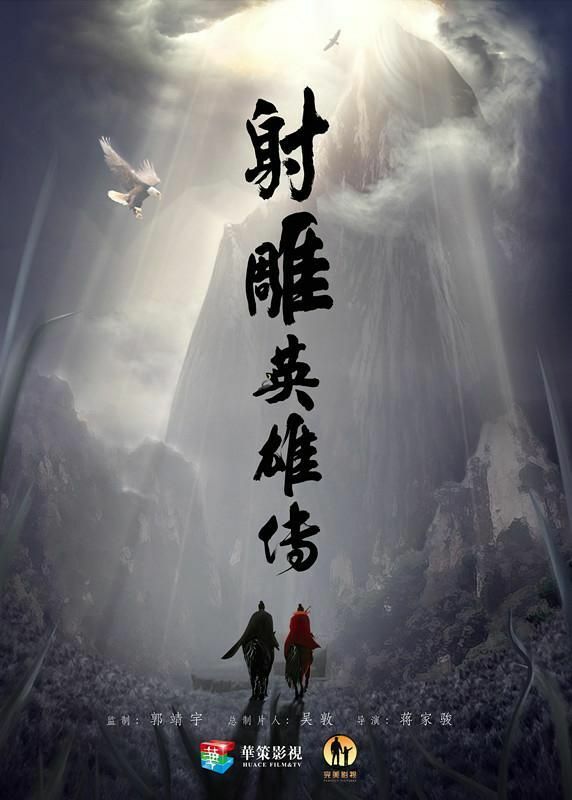 It’s called “The Mystery of the Condor Hero” (射鵰英雄傳之九陰真經). It starred John Chiang (姜大衛) as the Peach Blossom Master & Fiona Leung (梁珮玲) as Fung Hung (Wong Yong’s mom). Was that show the backstory? I barely remember it as that was when I was in college and started getting out of HK drama since I had no time. I think I watched a couple of episodes and got bored with it. This was during VCR/DVD era, so I just stopped watching it. I’ll have to try to watch it again then. Thank you! I remembered watching a couple of episodes of that show. I think I got bored with it and stopped watching it. I didn’t realize it was the backstory of Wong Yong’s parents. I might try to see if I can find it on the internet and watch it again then. 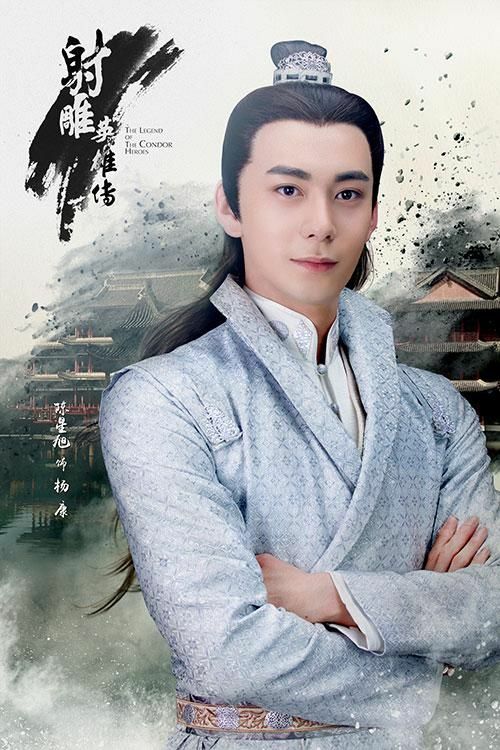 After searching for “The Mystery of the Condor Hero” (射鵰英雄傳之九陰真經) I finally remember why I didn’t like the show. I wasn’t too keen on the casting of that drama and the lead Fiona Leung (梁珮玲) was not my favorite actress growing up. I don’t know why, I just don’t like her acting, it doesn’t seem as natural as other TVB actresses. They are both pretty. The rest of the cast are distinguished looking. I like to see leading ladies wear less makeup, in these period dramas. I think some of these posters look really pretty! 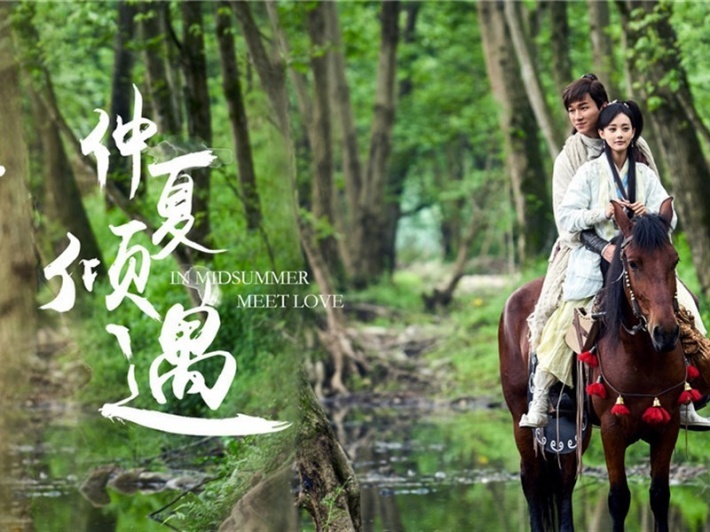 Can anyone give me links to their personal favorite C-drama posters? By “some” I mean the lead heroine one, the one with the two small figures, and the purple lady. Yuck! This is the problem with China. Can’t they write something new rather than filming the same thing a million times. 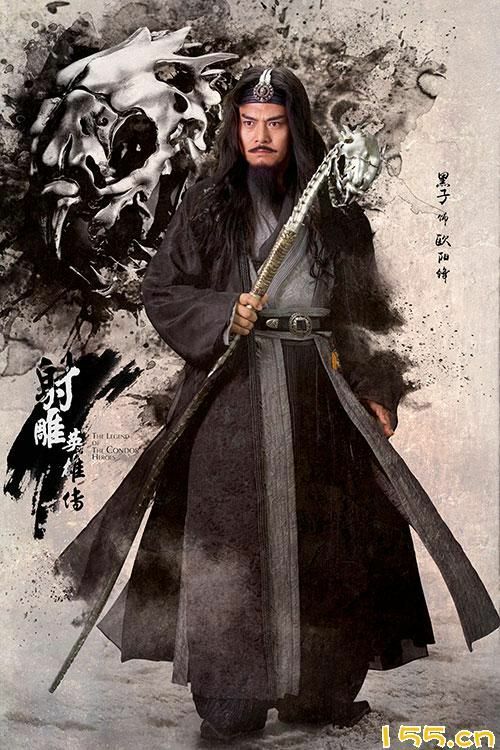 The web drama Wu Xin the monster killer was quite good though. This is considered a classic, like Shakespeare plays or Jane Austen, so it keeps getting remade. 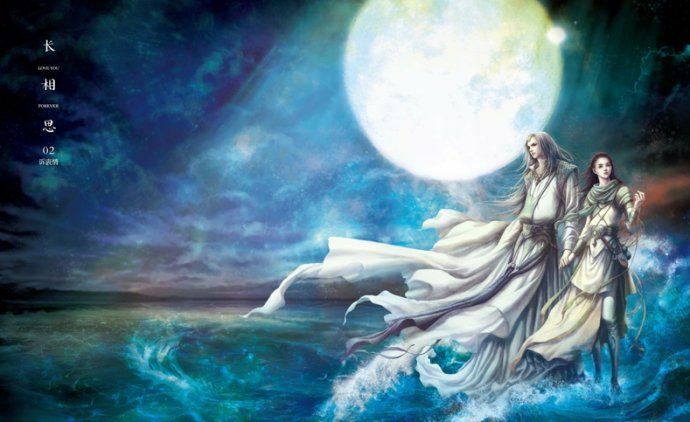 These series are like the founding works of China’s wuxia genre. This is a classic and very well loved by the Chinese Population and in the overseas Chinese market. I think the draw of the story has always been about the theory of how not everyone is black and white, good and evil. Nor is it a big love story, but about the loyalty, friendship, and fighting against prejudice. I agree with “oakroad” that this is similar to Shakespeare or Jane Austen, where there are so many remakes. Problem with Legend of the Condor Heroes is that the 1983 TVB had a perfect cast from the main to the supporting casts and every actor/actress in that series made their character very very memorable. Unfortunately in the subsequent remakes after that, the vibe of the actors/actresses doesn’t leave the same impression. Yep, This is a classic and very well loved by the Chinese Population and in the overseas Chinese market. I think the draw of the story has always been about the theory of how not everyone is black and white, good and evil. Nor is it a big love story, but about the loyalty, friendship, and fighting against prejudice. I agree with “oakroad” that this is similar to Shakespeare or Jane Austen, where there are so many remakes. Problem with Legend of the Condor Heroes is that the 1983 TVB had a perfect cast from the main to the supporting casts and every actor/actress in that series made their character very very memorable. Unfortunately in the subsequent remakes after that, the vibe of the actors/actresses doesn’t leave the same impression. I haven’t watched Cdramas for years. Did something changed? How come all of them have double eyelids. And since I am Asian even Chinese how come the eyes are all so big ie plastic surgery big? They are pretty gorgeous pretty. Just generic pretty though. It’s a weird feeling looking at them. The females look as if they can be in a Kdrama. Where else the actors can still be in a C or TW. I swear when I last watched decades old C dramas the actors didn’t look so chiselled. A lot of Chinese people have double eyelids though, but I agree that many of the new C actors and actresses nowadays look like the typical internet celebrities (网红). 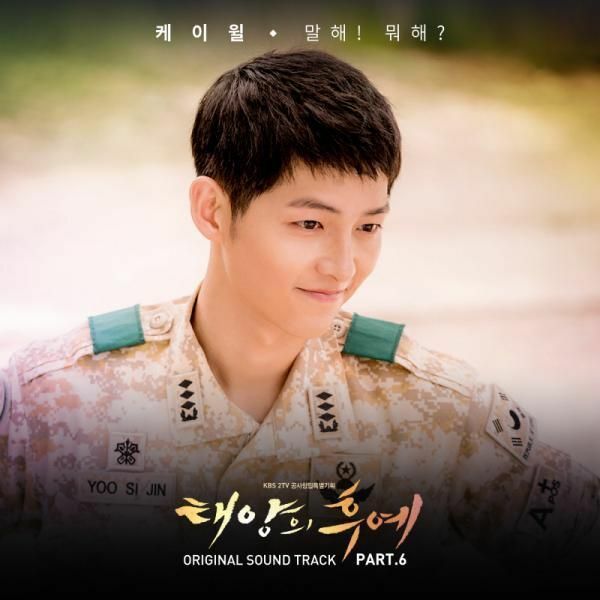 Perhaps it’s the changing shift of beauty ideals in the new generation, plus the current C entertainment industry also seems to focus more on pretty faces than acting talent. It’s getting quite hard to find a drama with a good plot and execution nowadays. There are alot of Chinese people in the main population that have double eyelids. I used to watch a lot of Hong Kong dramas back in the 80’s and 90’s and most if not all the major actresses had double eyelids and big eyes. So, not much has changed? China have a huge population and various different looks, as such, I am sure they can find actresses with natural looking large eyes. I think it has more to do with the makeup that seems to make everyone look the same. I remember a time when each actress/actor had a distinct look and you can recognize them immediately, I can’t seem to do the same with the current acctress/actors in Hong Kong, Taiwan, and China. That’s Hong Kong though. Hong Kong chinese actresses and Mainland China actresses look different. If you compare China actresses from the early 2000’s with the ones now, they look like completely different species. Of course there are mainland chinese actresses with naturally big eyes (Vicky Zhao for example), but a lot of the current lot of actresses have unnatural-looking eyes and they all look the same. I think this is what Ck1Oz is getting at. @Random-Hong Kong and China are chinese and most Hong Kongers came from Mainland China somehow or another. China is very big and looks will vary from the North to the South. What I was trying to say is that, with the huge population in China, I’m sure China’s Entertainment Industry can find someone with Big Eyes and the looks they need without much effort. 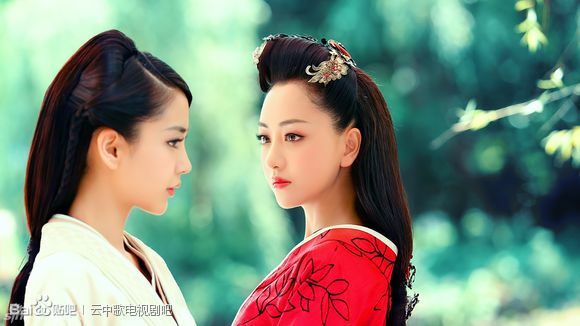 I do understand that the actresses look the same, even I have to either look at the story or the caption to distinguish between Yang Mi, Tang Yan, Crystal and Cecilia Liu. They really look the same especially when they have the same hair styles and makeup and in certain angles. They are very pretty, but yes I do get that they look very similar. Oh boy, I lose count on how may remake/adaptation for this series (LotCH, RotCH, Dragon Sabre). I haven’t watch the 1983 version, so my favorite is still 1994 version. 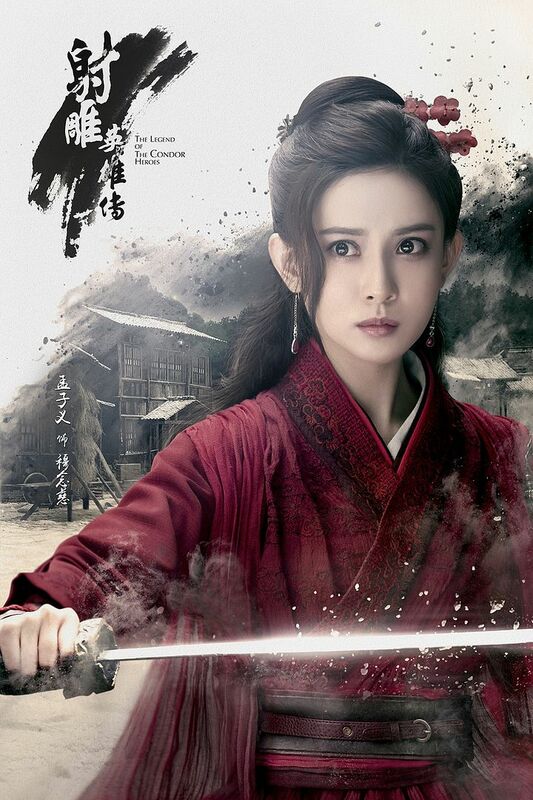 And this past few years I don’t watch as many wuxia or C-period drama as I did in the past. Too much CG and the costumes are kinda ‘over the top’. I prefer the old production which more simple. Okay, the studio scene may not that good, but the outdoor and figthing scene are simple and easy to watch. 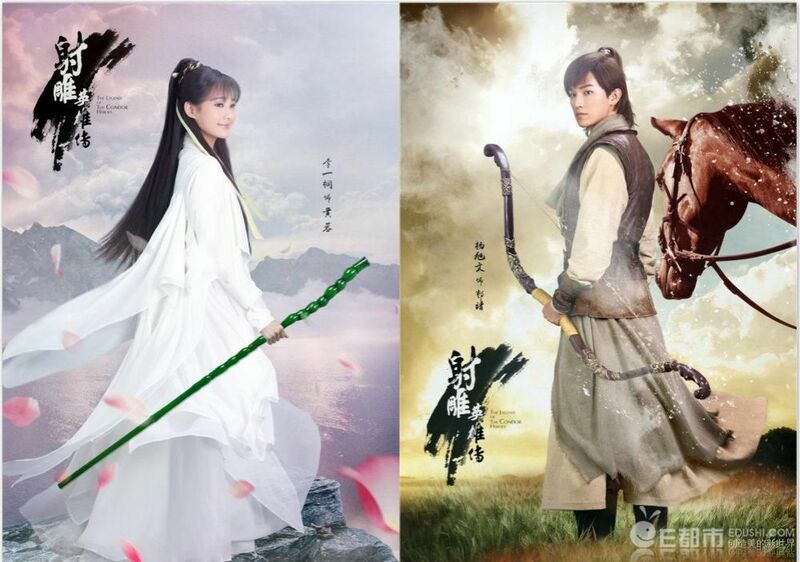 SO much plastic surgery though..
Is it legend of the condor heroes or return of the condor hero???? 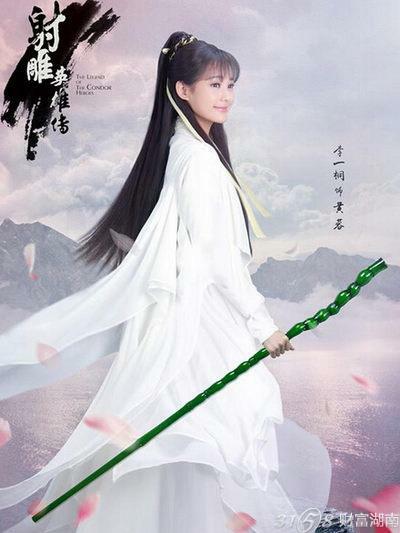 Huang rong white costume looks more Xiao long nu…. they should drop LOTCH. just keep ROTCH. not felling the lead lady. 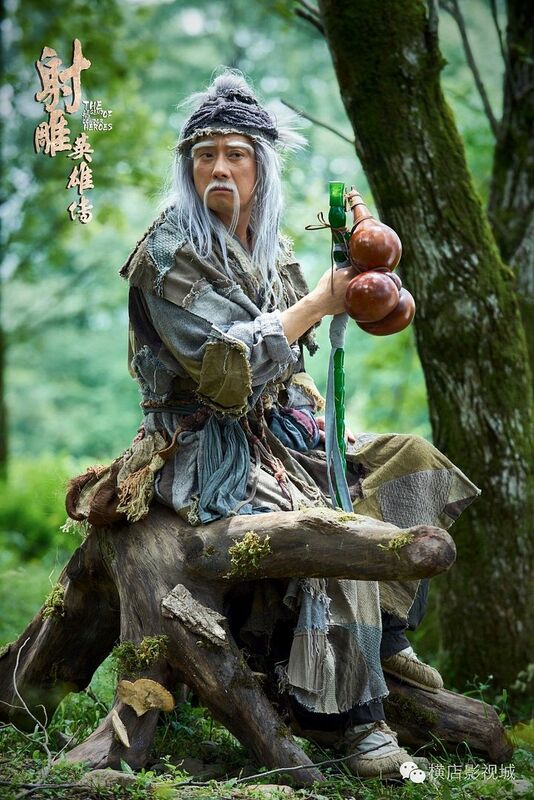 I am actually surprised they didn’t try to get Lau Dan to play “Hong Chut Sok” the old beggar guy/leader. I think he was in everyone of the remakes playing the same character since he was the perfect guy for it – and he was in the 1983 version as well with Barbara Yung. My favorite will always be the original. But I find these remakes refreshing. 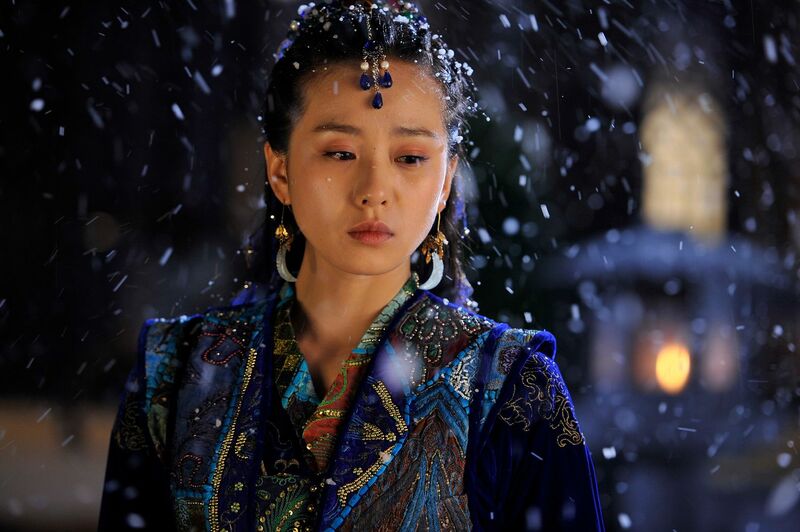 There will never be anyone who can play Huang Rong better than Barbara Yung, never a Yang Kang like Michael Miu. Never a Guo Jing like Felix. Even the casting was documented. Everyone was perfectly casted. But that doesn’t appeal to everyone, probably especially to the current teenagers, who sees the original and frown. These remakes, keeps the story alive for each generation. They get to see their current idol play the characters, and want to see more of Louis cha’s work, or maybe even read the novels. 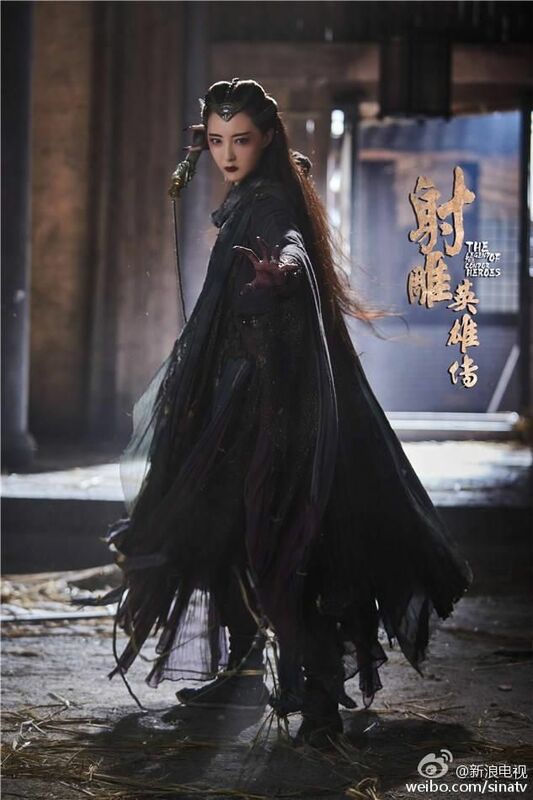 Think of it as classic Broadway productions, there will always be someone new playing Romeo and Juliet..Phantom of the Opera, Hamilton…so why not Guo Jing , Huang Rong , Yang Kang, Yang Guo and Xiao Long Nu. I haven’t watched any adaption because my mom was such an avid 80s fan of the Chinese dramas, especially the wuxia movie.. I used to re-watch LOCH all the time and ruined my mom’s box sets LOL. I think I’d watch this version just for Michael Miu and Ray Liu. 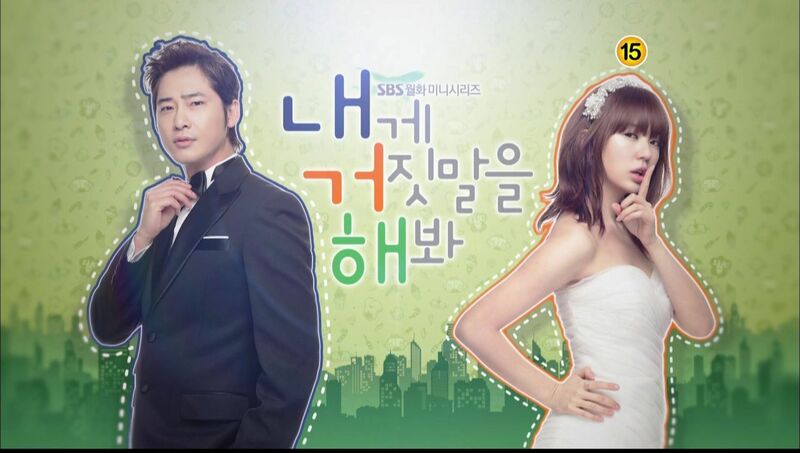 I wish drama fever had it but I they have it subtitled on Viki. WOW!!! This was the best series I’ve ever watched. 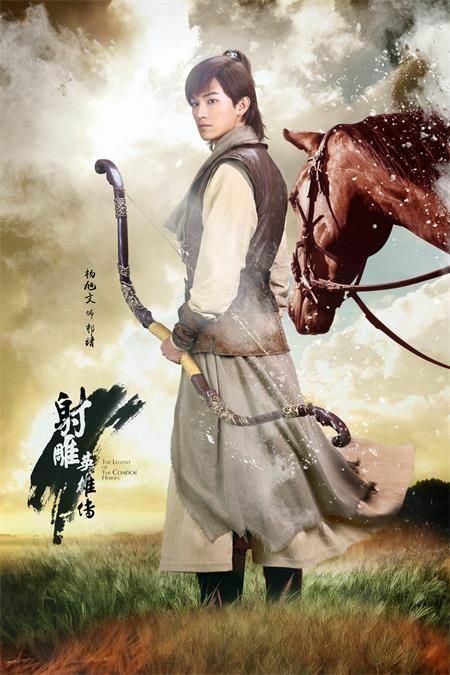 I really liked Huang Rong in this one!! Li Yi Tong is the next big actress and I was impressed by her witt and she is very cute. Btw, does anyone know who dubbed her voice for the cantonese version? Facts. She very clever, and just really cute. But they did something about her voice, Li Yi Tong’s voice isn’t actually that high pitched. I was watching the behind the scene videos.